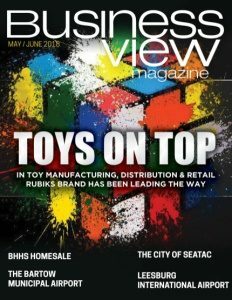 Business View Magazine interviews representatives of Rea Magnet Wire Co. for our focus on safety & sustainability in the electrical manufacturers industry. BVM: Who is your typical customer? Bilinski: “The beauty of the magnet wire industry we’re in is that we’re not dependent on one sector. If you look at our business profile, our two largest markets are the electric motor market and the power transformer industry, which have a diverse number of applications Our wire can be found in smaller, dry-type transformers for home or commercial industrial applications, all the way up to large distribution or power transformers responsible for distributing electricity throughout a nation. On the motor side, our wire is present in small motor applications, such as residential appliances, HVAC systems, ceiling fans, and power tools, with wire applications ranging up to large commercial industrial motors and generator systems as well as applications for power generation. BVM: What sets your company apart from competitors? BVM: How do you promote safety on the job? Bolinger: “Safety is a core value at Rea Magnet Wire. We recognize that every employee is responsible for their own safety and because of that we have a culture at Rea that empowers all. You’ll find our executive team – starting with the ownership and the Board of Directors – drives the expectation that all injuries are preventable. The important aspect of that is putting it in action from the top with expectations that we all walk the walk, and then tying your focus to the same goal each of us has, to go home to our family every night. We talk a lot about family, the importance of not letting them down, and the consequences for not doing right as it relates to your own safety. “The organization has a long history of safety performance improvements. In the last 10 to 12 years, we’ve seen a significant improvement – to the point that we consider ourselves world-class as it relates to OSHA recordable rates or incident rates. And we’re extremely excited to share that we just broke the company record in 2017 for the safest year ever at Rea Magnet Wire. It’s the second time in three years we’ve broken the standing record. “One way we specifically promote safety is through a system that customizes training videos that show our plant footage, our employees acting within the filming, and we even include families along with executives of our organization introducing the monthly training message. All employees are expected to view these monthly. That’s just one of many training opportunities we offer. The longest-tenured employee we have is well over 50 years, but there’s a good core of our hourly staff that are 25, 30, 35-year employees. “Internally, there is friendly competition among employees for recognition as the safest plant. We have our Chairman’s Safety Excellence Awards, based on a list of 12 or so metrics we keep track of at plant levels throughout the year. At the end of the year, we compile the results to come up with the Safety Plant of the Year. We developed a travelling trophy, artistically designed and created from our products, which was made into a very unique looking trophy. The winning plant gets to display it for the next calendar year, while everybody else, in a friendly way, competes to earn it from the current holder. The first three years our Monterey, Mexico plant won and most recently, in 2017, our Lafayette, Indiana plant won. We also recognize, by issuing plaques to the plants that work an entire year injury-free, and to the Most Improved Plant each year. BVM: How does Rea Magnet Wire address sustainability? Tutton: “In our facilities, we’re continually looking to reduce waste and improve costs. Energy efficient lighting has always been at the forefront, with our facilities being converted to the most energy efficient technologies as they become available. Obviously, we are in the supply chain for motors, so energy efficient motors and drives are required in any of our capital projects, as well as replacements during routine maintenance. We’ve also focused on ways to reduce our waste streams, with projects like recycling used solvents, as opposed to sending those out as waste. In some cases, we’ve been able to partner with outside vendors to reprocess and reuse material that used to be considered waste. We’re a big user of copper and aluminum, which are readily recyclable products, and anything that can be recycled, even dust, is sent out as recyclable material. We have a strong commitment to going above and beyond environmental compliance in reducing our overall waste and emissions. “What we have done over the years is partner with suppliers to do things such as reformulating the coatings we use, so they meet performance specs for our customers but have reduced hazardous air pollutants in the solvent base. BVM: What are the company’s objectives for the future? Bilinski: “When we look across markets, there’s a huge importance placed on energy efficiency; more often than not, the energy efficiency of systems that people use. Heating and air conditioning from a residential standpoint is one area where many legislative and efficiency regulations have been put in place. Our goal is to be ahead of that as much as possible, to serve our customers who are manufacturing motors for the designers of HVAC systems. “The development of electric vehicles is receiving a tremendous amount of focus in the news. That is a significant opportunity within the magnet wire market. All those drive systems have electric motors powering the drive trains, and that is anticipated to be a huge growth area in the next five to ten years. 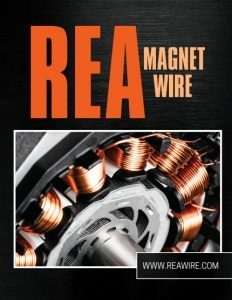 “Rea Magnet Wire is built on a rich, 85-year history here in Fort Wayne – grown from a very small Midwestern company to a large multi-national supplier to the motor, automotive, and transformer industries. I tell people that magnet wire is the most common thing you’ve probably never thought about. It affects every individual, every day, no matter where you live. Check out this handpicked feature on The Allen County War Memorial Coliseum. WHO: Rea Magnet Wire Co.
AutomotiveFort WayneIndianamotorRea Magnet Wire Co.